For years we were a one dog household. It wasn’t until we got our first Shih Tzu that we began to wonder if having more than one dog would be better. We decided to take the plunge and welcomed a second Shih Tzu into our family, finally answering the question...Are Shih Tzu better in pairs? Having a pair of Shih Tzu can boost their mental and physical health, and enhance their quality of life. Being a social breed, not only do they love to be around humans, but enjoys the company of other dogs too. There are plenty of good reasons in having a pair of Shih Tzu. However, there are also things you need to consider when adding a another dog to your household. We'll start with some of the benefits. There’s no question that having more than one Shih Tzu in your household will result in more work and expenses for you. But having more than one does have its benefits. Companionship. Shih Tzu are very social dogs and they really do love to cuddle whether it’s with their human, or another dog. When their human has to leave them alone to go to work, having another Shih Tzu around to keep each other company may help with any anxiety they may feel. Separation anxiety. Having two Shih Tzu to keep each other company may help reduce anxiety and boredom when being left alone for long periods of time. Although in some cases, it may not help at all. Socialization skills. As mentioned above, Shih Tzu are a very social breed. And just like any dog they need to learn how to socialize well with other dogs. Having a second dog increases their ability to get along with other dogs by learning social boundaries during daily playtime with his companion. Playtime. If you have ever seen a dog “play” then you have seen how very different it is from the way we play with them. It’s play which only another dog can truly appreciate and understand. They will use their mouths while wrestling to get each other’s leg, whack them with their paws, or side bump with their hips to keep the upper hand…uh, or paw rather. Chasing each other becomes a game of ‘tag your it’ and they totally understand what each other are saying when they bark. This may sound like a lot of fun, but frankly as humans, we just don’t have the energy to keep up, and the younger your Shih Tzu are the more energy they will have. Playing not only keeps their minds young, but also provides a great way to exercise too. Exercise. It's true Shih Tzu don't require a lot of exercise, but they still need it. Although you will still have to take them out for their daily walk, they will get some exercise when they play with each other. These are all great reasons why Shih Tzu are better in pairs. However, there are some things you must consider if you are thinking about adding a second Shih Tzu to your family. Whatever your budget is now for your one Shih Tzu, double it. The amount of time you spend grooming and playing with you dogs, increase it. Some things like toys can easily be shared, but other things can not. Food. It is very rare that a dog will share his food with his canine buddy, no matter how friendly they get along. Plus, you need to make sure they are eating enough so extra food will be required. Veterinary bills. Both dogs will have to visit the vet for their annual check-ups, and vaccinations. Have pet insurance? Expect the monthly premiums to go up so both dogs will be covered. If they get sick, need their teeth cleaned, medications…you know where this is going... more money coming out of your pocket. If your finances are already strained, how will you be able to pay for this increase? 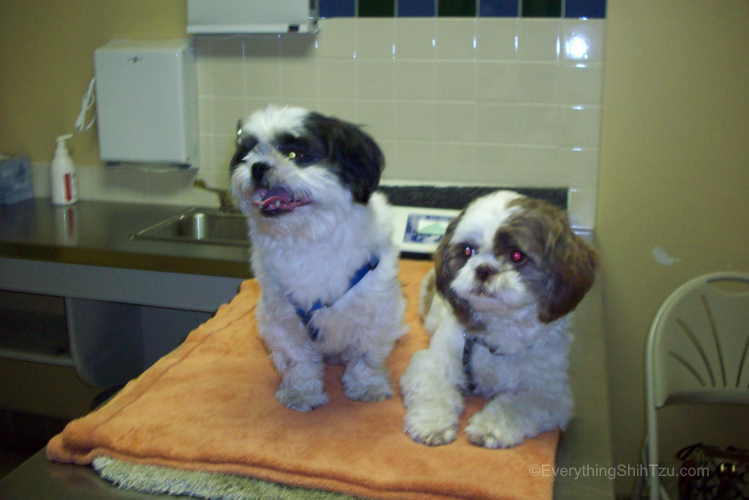 You need to make sure these precious Shih Tzu are healthy and will stay that way. Grooming. If you take your Shih Tzu to the groomers don't expect a discount. Shih Tzu take a long time to groom, and it's unlikely your Groomer won't realize this when charging you for two of them. Pet Sitters/Dog Walkers. If you have a pet sitter or dog walker to take care of your pets, having two will cost more. Some offer discounts for more than one pet, so it may only be a slight increase. Traveling. If you’re one of the many people who bring their dogs on vacation with them, two dogs will pose more of a challenge. There have been more and more places that are accepting pets these days. But, they may have a strict policy about how many can stay in your room. And often there is a pet fee, per pet! Even if your precious babies are the most well-behaved dogs in the world, Hotels won’t care. They presume that all pets will leave behind a mess needing extra cleaning to prepare for the next guest. Someday that may change but for now expect to pay more. Camp grounds are a little more lenient in the number of dogs you can bring with you. But always call in advance to find out their pet policies. More expenses aren't the only thing that you will have to consider. 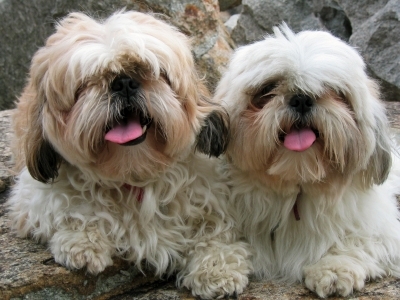 Time is another important factor in deciding if you can handle two Shih Tzu. Some things will require more of your time if doing them yourself. But may only be minimal if you plan on hiring a professional to do them. Grooming your dog at home? You will have to set aside more time for your second Shih Tzu. Although you can save some time, if you bathe them together. But combing their hair, brushing their teeth, clipping their nails, or cleaning their eyes and ears will all need to be done separately. Training. If you decided to get Shih Tzu at the same time, training them can often take a lot more time. However, when adding a second dog to your home where there is already a confident, well behaved dog can actually help inspire good manners in the new dog. Likewise, if there is an aggressive, unhappy dog in the home this can inspire the same unwanted behavior in your new pup. Chaos will ensue and even more training will be necessary to change this learned behavior. I know this may seem daunting, and I am really not trying to talk you out of getting a second dog. But you must be certain that you will be able to care for two dogs properly. If you've made the decision to get a pair of Shih Tzu, congratulations! The next step is to find the perfect companion for you and your dog. Getting a pair of Shih Tzu at the same time, from the same litter will likely mean you won’t have much of an issue in having your dogs get along. Or if you’re considering adopting a pair of Shih Tzu and the shelter tells you they are best buds, it's a pretty good sign they are already compatible. But, if you’re adding a second dog to your single dog household, you need to ask yourself some questions. How old should the new companion be? 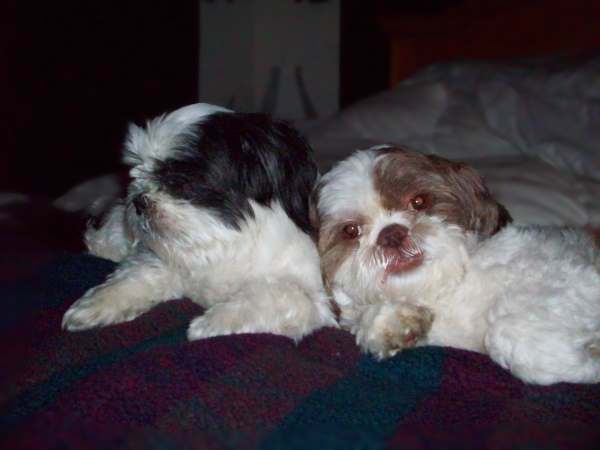 How does your resident Shih Tzu interact with puppies, adolescents and seniors dogs? It is so easy to look at a puppy and fall in love, but will your senior Shih Tzu have the energy to keep up with him. Will you have the time and energy for a puppy? Would a male or female companion be better? Does your dog seem to have a preference when he's around another dog? If both dogs are neutered, it may not matter that much whether it's male or female. 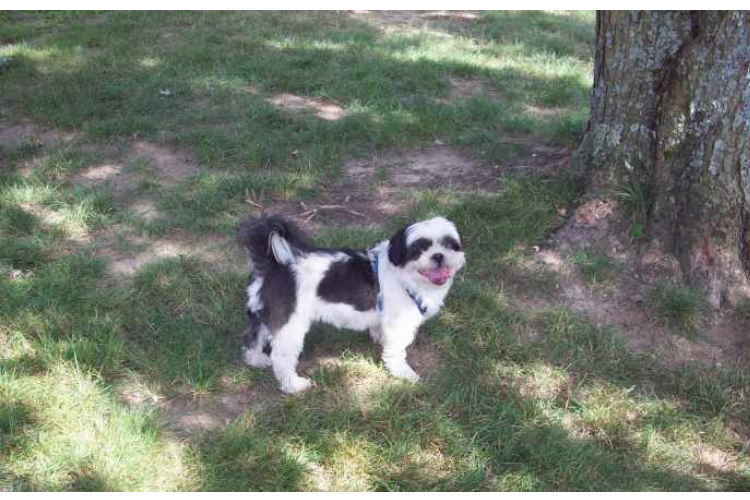 What would be the ideal personality match for your resident Shih Tzu? No two Shih Tzu are alike, each has their own personalities. But the personalities should complement each other. Are there currently territorial issues? This could become a big problem if the new dog doesn't respect boundaries. Should the new dog already be trained, or will you be doing that yourself? Although Shih Tzu are adaptable dogs, that doesn’t mean that just any dog will be automatic match for them. In the wild a dog runs with the pack for companionship and survival. But as a domesticated pet a Shih Tzu doesn’t need the animal pack to survive. You have become his pack and you provide him food and shelter. This leaves him able to live quite comfortably as the only dog in the house. However, having more than one Shih Tzu in your home, can double the joy in your life and theirs. And once you've had multiple dogs in your home, you may find that you never want to be a single-dog home again.